The Ridgecrest model has 3 Beds and 2 Baths. 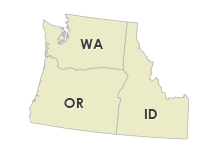 This 1600 square foot Double Wide home is available for delivery in Washington, Oregon, Idaho. You’ll find several stand-out features in this large mobile home, chief among them is the hefty sized utility room, which has space enough to accommodate a utility sink or freezer. The front door side dormer is a huge plus when it comes to curb appeal. Don’t overlook the master bedroom closest with ‘shirt & skirt’ storage, the size of it is something to behold. Ask about the optional trey ceilings, available in both the family room and master bedroom. 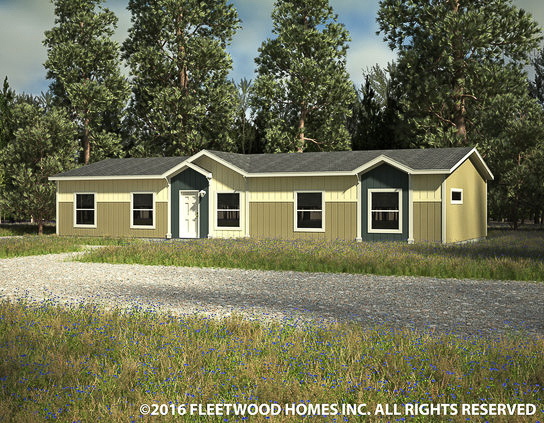 Ask your housing consultant about the other great features that come standard on the Ridgecrest manufactured home.